6 tasty weeknight dinners plus a sweet weekend treat! These salmon fillets are going to have you asking for fish every night. 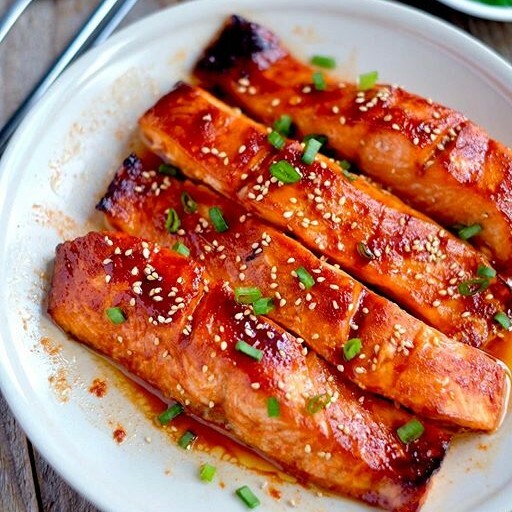 Bursting with fresh, Asian-inspired flavor and boasting a crispy outside marinade, this salmon dinner is about to become a go-to option. Serve with with a salad. Feedfeed Tip Ever tried cooking with Gochujang? It's a spicy Korean paste that adds a ton of savory flavor to marinades and sauces. If you can't find it in the grocery store, you can buy some at your local Asian market. Don't let the simplicity of this salad fool you. If you've never tried incorporating hemp seeds into your hearty bowl of greens, today is the day. 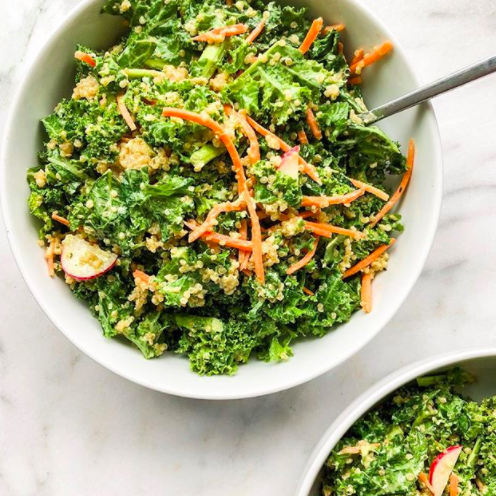 Feedfeed Tip If you think that you don't love kale salads, it's probably because you're not massaging your kale. Give the greens a quick drizzle of olive oil and a squeeze of lemon, then use some elbow grease and massage the leaves. This will help to break down the rough fibers and make it much more enjoyable to eat. Stuffed potatoes are the most underrated dinner. 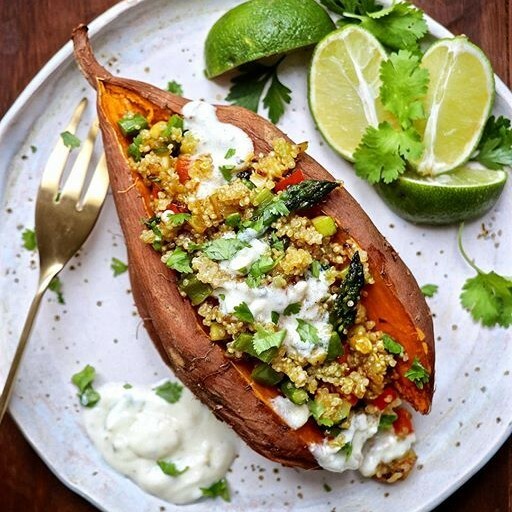 It's easy to keep a few baked potatoes on the ready in the refrigerator, so this is an easy solution for busy weeknights. Mix up whatever veggies you have on hand with your favorite spices and combine it with a grain. Ta-da! Dinner is served. Does this dinner bowl leave you speechless? Because we're currently at a loss for words from this stunner. 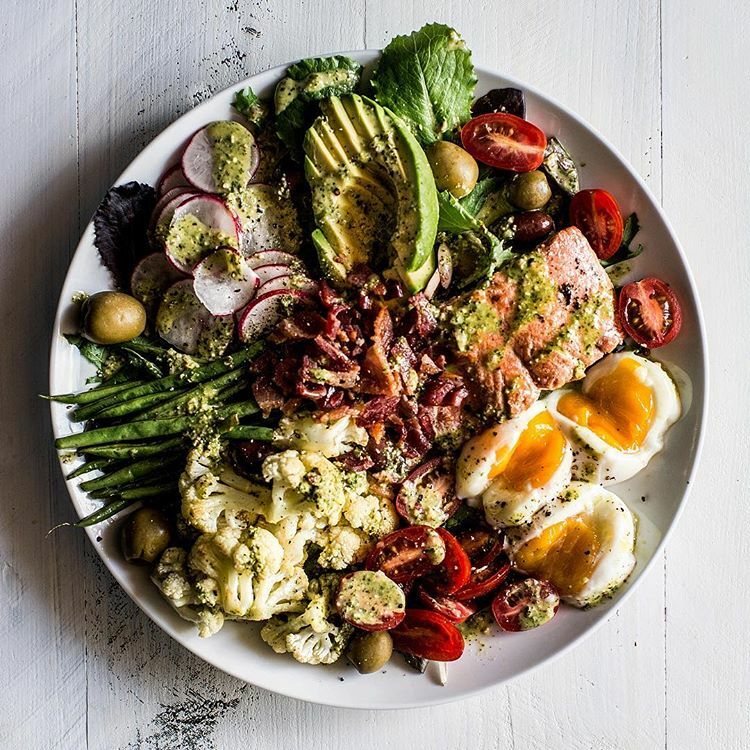 Between a fillet of salmon, soft-boiled eggs, avocado, bacon crumbles, and roasted cauliflower, this bowl is everything and more. Feedfeed Tip Nailing that ever-elusive soft-boiled egg with a yolk that's not too runny but not fully set is easier said than done. A good rule of thumb is to time it exactly for 6 1/2 minutes and immediately transfer to an ice water bath afterwards. However, depending on the amount of water and number of eggs that you're cooking, this could vary. All of this to say, practice makes perfect! 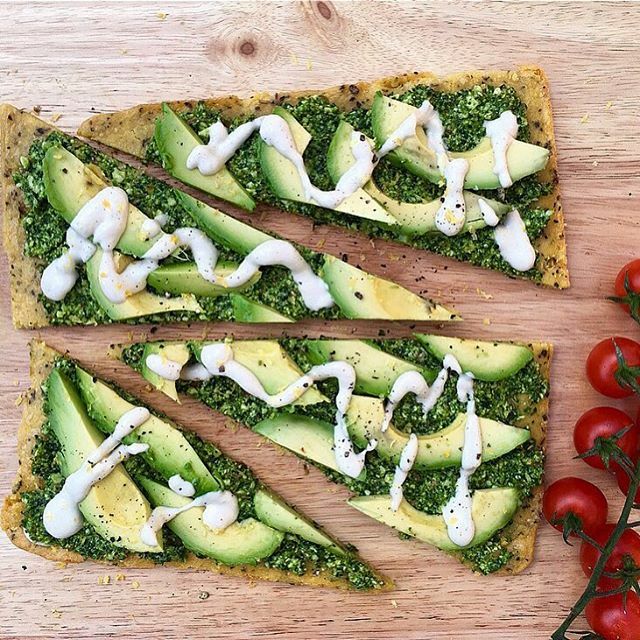 This pizza seriously has it all–a nutty vegan pesto, avocado slices, and an addicting lemon-tahini dressing all loaded onto a spicy chickpea crust. If you're up for it, you might want to make a couple extra crusts to keep in the freezer for an unexpected pizza craving. Feedfeed Tip If you're short on time, you can always fall back on your favorite gluten free store bought crust. There's no shame in a quick, convenient short cut. No bun, no problem! 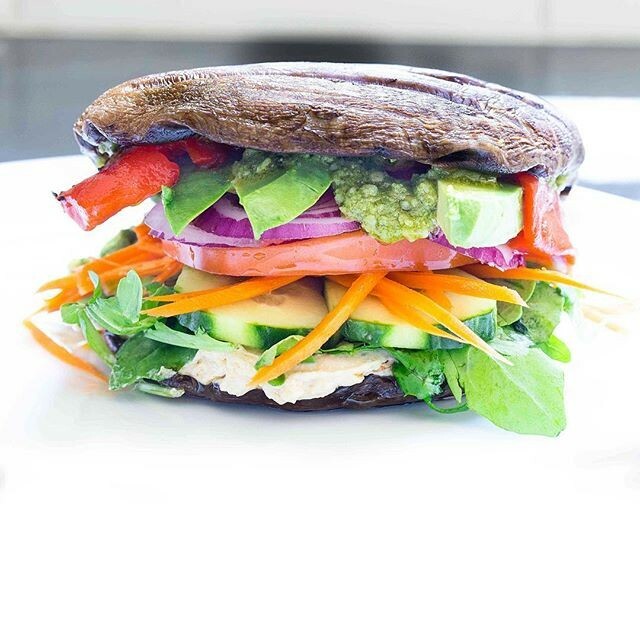 Hearty portobello caps take the place of bread in this anything-but-boring veggie sandwich. Feedfeed Tip If you don't have a panini press to cook the portobello caps, you can always use an outdoor grill, a grill pan, or a cast-iron skillet. 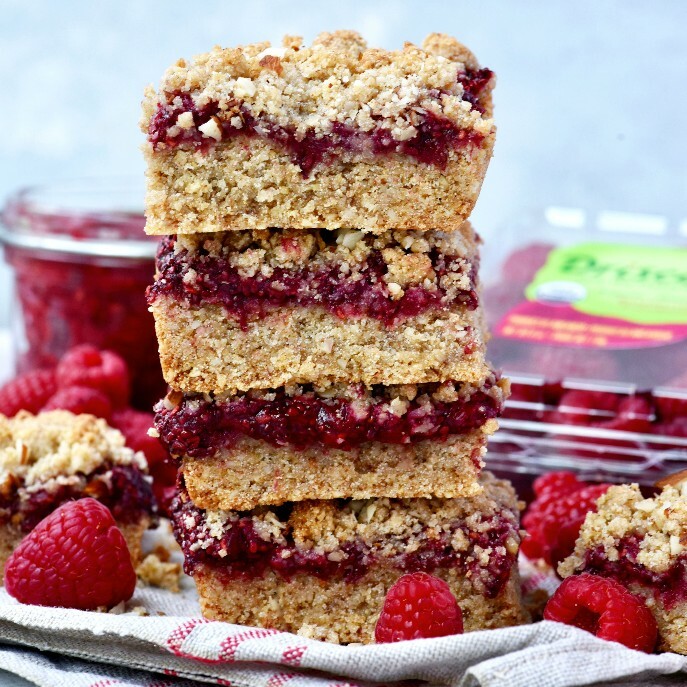 These super easy raspberry oatmeal bars taste just as delicious as they look. The rich almond crust paired a sweet fruity filling makes these bites feel like a grown up PB&J. Bring these to a dinner party and there's no way you'll leave with leftovers.